It’s always a wonderful feeling when the work you have done is appreciated and specially by the one for whom you have worked. That’s the Ultimate Goal every Photographer has for his every single assignment and I was lucky enough to have Friends, Yes I call them friends as they are more than just a client who went of the way to appreciate my work done for them and others as well. Here are few of the good words said by all these wonderful people in appreciation of my work.. Thanks a lot People. “Being a lawyer I would like to put it this way, that the basic proof of being married are the wedding photos. But when they are clicked by Anand Jadhav he captures not only evidence for the event rather he becomes the author of the Romantic Tale. Me & Kashyap after choosing each other as companion for life are happy we chose Anand to be our story teller.!! “Hey Anand, u was a right man to cover my wedding. Thank you so much for doing amazing job. “Simply fabulous….every photograph clicked is one of the best. “This is our second review for Anand. Anand’s got an amazing eye for capturing moments and his talent speaks for itself. He has captured some really stunning shots on our big day that take us back to the moments every time we look at our wedding pictures. His work is wonderful. Each and every emotion, the laughter, the love the tears were captured perfectly. All the events and the rituals were covered beautifully in all sort of possible angles. He is professional yet friendly. Anand is really energetic and patient with all our shot demands. 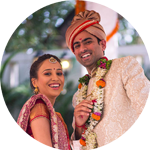 “Anand is an incredibly talented artist who made both our pre-wedding and wedding photographs look like they were straight from a magazine. Our wedding days were magical and the photos reflect that. 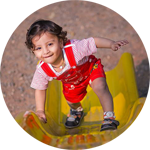 Anand is also very friendly and down to earth person. 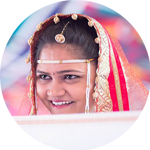 “Anand shot my Wedding and how! For me the pics are like music that grows on you over time. The more you see them, the more you like! You can introduce him as your friend and your family will trust your word in few moments as he gels with the people around. The pics are clicked utmost naturally,capturing the emotions beautifully and cutting the noise! “Highly recommended ! Anand can work in any circumstances without losing his patience. During our wedding the temperature was 44 degrees still the pics are as expected- Amazing. He is a photographer with ‘right’ attitude. Polite and professional at same time. Trust him. Follow his suggestions blindly. We are more than happy with our wedding photographs. “Being photography enthusiasts ourselves, we were very keen on having a contemporary and artistic angle to our wedding photos. We had known Anand from internet photography community – Flickr. This guy has graduated to be a fantastic fashion photographer within no time. 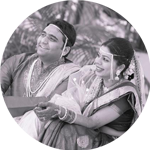 In fact I had hidden the fact from my fiancée that Anand was appointed to do a pre-wedding and wedding shoot for us. She was awestruck and delighted after I told her about this. 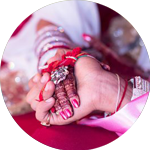 His impeccable eye of capturing innovative images made our wedding moments more special. This is something we will treasure whole of our life. 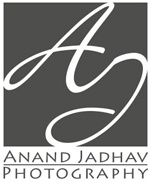 “I would like to take this opportunity to tell everyone what a fabulous photographer Anand is. Anand is professional and makes everyone comfortable around him. I was searching for a good photographer when I saw his page on Facebook, I instantly decided to call him and set a meeting with him. I got married on 27th June, the day was made special by Anand who perfectly captured the important moments during ceremony. On the day of marriage, he smoothly captured moments without getting noticed. My overall experience was awesome and I am sure it would be more awesome during future assignments. “Pictures are something that help us cherish the big and small events in our lives. The expressions, the overload of emotions, and the feelings all need to be captured perfectly in one click to bring a picture worth looking at a thousand times. To make a picture that worthwhile effortlessly is quite a task. I cannot stress enough on the word ‘effortless’ because amidst the hustle-bustle and exhaustion of a wedding, one can hardly look perfect and keep a smile on the face all the time. I absolutely adored each and every photo you have taken.. You have given us memories worth cherishing for life and I could not have asked for a better photographer!! “Amazing photography. Made memories for lifetime. “Anand, is a very nice photographer. Also early morning of new year 2014 shoot was awesome. You know the perfect moment to click, keep it as going. 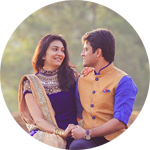 “A lifetime of memories and compliments thanks to Anand Jadhav who made us so look so good! 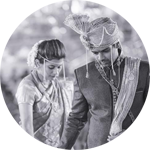 “We consider ourself very lucky to have Anand to cover the big day. He makes you very comfortable and gets natural poses out of you. “You are undoubtedly a prolific photographer.A very special Thanks for the lovely moments that you have captured. “Choosing a wedding photographer is the most important part of a wedding. (Next to choosing a life partner ) Because you will either curse him or praise him throughout your life. We are glad that Anand covered the most important day of our life! Anand captures all the important moments beautifully. You don’t have to tell him what to capture, he knows what is important for you. And when you look at the final result, you will be proud of your choice. “I cannot express how amazing of a photographer Anand is. 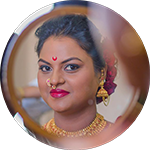 I have known Anand for some time and having seen his awesome work, I had decided that I’ll get my precious life event moments – ‘the wedding’, captured by this individual. Looking back on how awesome the photos came out, it was one of the best decisions we made that day. 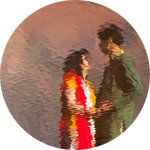 Anand truly is an artist and he really goes above and beyond for his couples. 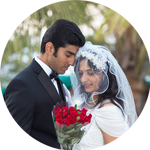 He is a professional who will put you at complete ease on your wedding day.